You’d better get your chariots cleaned up over Easter. The next Cars & Coffee Brisbane is on Saturday the 7th of April. We would like to thank our ongoing sponsors The Bratmobile, Dr ColorChip Australia, Styling Automotive, Show off ya Tints, Ryno Insurance Services Pty Ltd, Car Care Products, Flinders Coffee, Motorline MINI Garage, Fixarim & Brisbane Auto Storage (www.brisbaneautostorage.com.au). 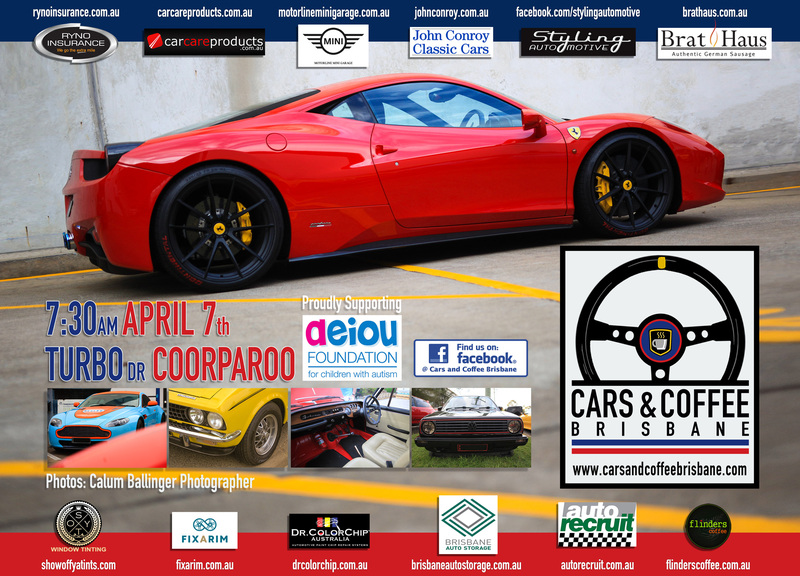 This month we welcome AUTOrecruit & John Conroy Classic Cars as Cars & Coffee Brisbane supporters.